Alright, my soldering isnt great, in order to make my connections with wires I require lengths that are failry large with a good metal length, but this presents a problem that if one wire gets accidently bent I may short my battery or cause a programming error. Is there anything I could dip the bottom of my board in to preserve my soldering and connections and stop any accidental problems? 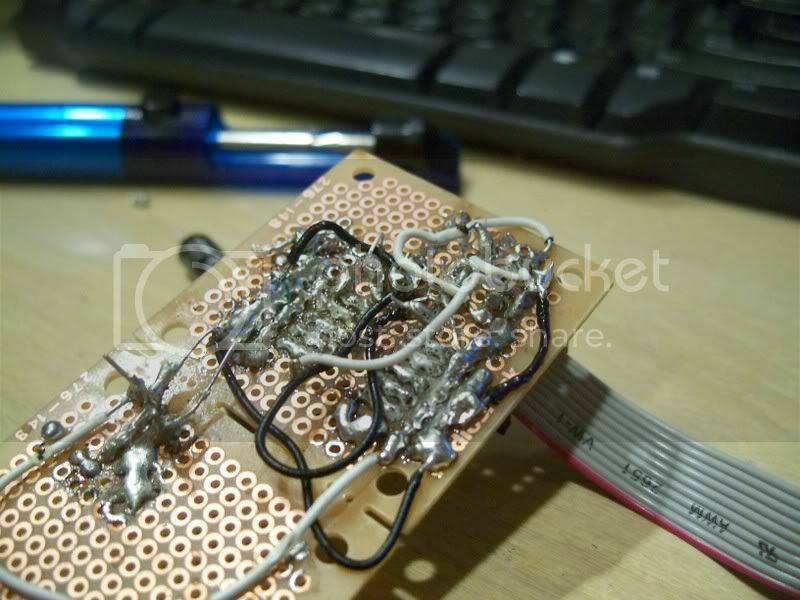 After you solder the leads you can clip the remainder of the lead from the bottom of the board leaving just a small mound. The biggest problem isnt the leads of components, its the leads of wires, and larger mounds, since im clumsy and my end of the school year goal is to go one day without hurting myself, my soldering isnt neat, I spent the last two days trying to desolder and resolder various short circuits, right now the longest leads belong to the voltage regulator so the problem is my long wires that can get bent if someone accidently touches it. cut your wires so they reach point a and pont b with minimal excess lengththen they wont touch anything. yea then i have trouble with soldering, Also both of my soldering tips are pretty pitted out. they are, but they are not the problem, its the long wires that I have underneath it, certain parts of the board had its copper pad pulled off during desoldering and so some of my solder blobls are fairly bad, if certain wires get bent so far then I would have a short circuit and would be unable to rpogram it anymore. 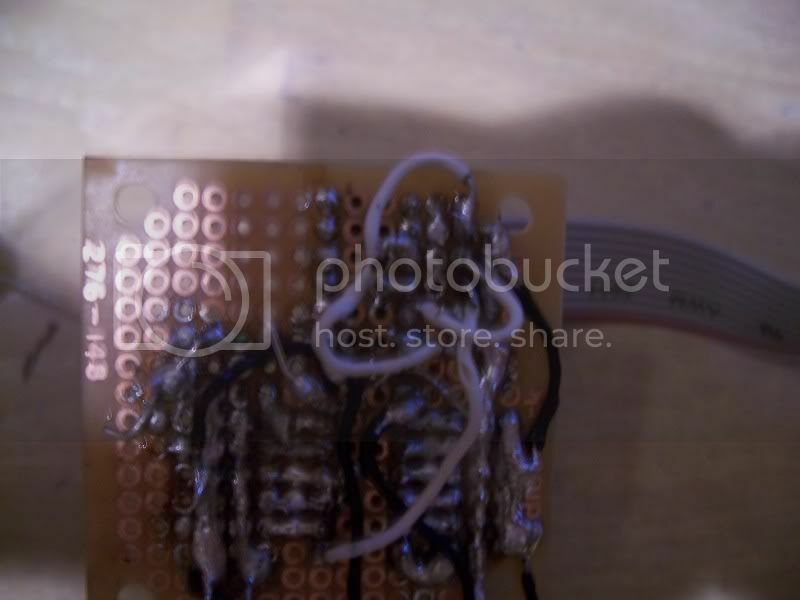 The wires are soldered on the underside of the board, its from the 50$ robot. Some of them are longer and protrude out funnily and can be bent to short and make it so i cant program the bot, Is there anything other then resoldering shorter wires that i can do to make it so they dont move and bend to short out the board. It seems something is being lost between you asking and us answering. Can you post a picture of what you are talking about. are your wires bare or insulated? heres mine, there are still a few thigns that need fixing, such as the short circuit that happens if I put the battery in wrong. The thing is that i worry that those 4 white wires that go from the programmer pins to the microcontroller might short and cause problems, but I dont want to resolder. out of curiosity what is the reasoning behind the aluminum foil? ie. the second wire from the end. and the reset wire. well, you can always put some hot glue from a hot glue gun on the ends of the wires against the board. Is there anything I could dip the bottom of my board in to preserve my soldering and connections and stop any accidental problems? I think there is a spray for this, but not sure . . . I sometimes coat my electronics in RTV. Make sure it says it's non-corrosive for electronics . . .
Im going with the hot glue, easy to do, fairly cheap, and If need be it can be removed. Thanks for the ideas. just be careful the heat from the hot glue doesn't damage any components . . .
its not funny...lol it was a $65 part!